Olaniran Sonibare, father of a 400-Level student of Osun State University (UNISON), Timileyin Shonibare, who was allegedly murdered and his body mutilated for ritual purpose, has told an Osun State High Court, how his son was killed. Olaniran told the court, while given evidence during the trial of the five suspects arrested in connection with murder, that his son was killed about two semesters to his graduation. AbdulRafiu Zakariyau, Yusuf Kareem, Ayuba Ibraheem, Ishaq Yusuf and AbdulKareem Adeoti, were the suspects arrested by the police in connection with the incident. Timileyin was murdered, June last year around Oke Baale area of Osogbo, in Osun State. 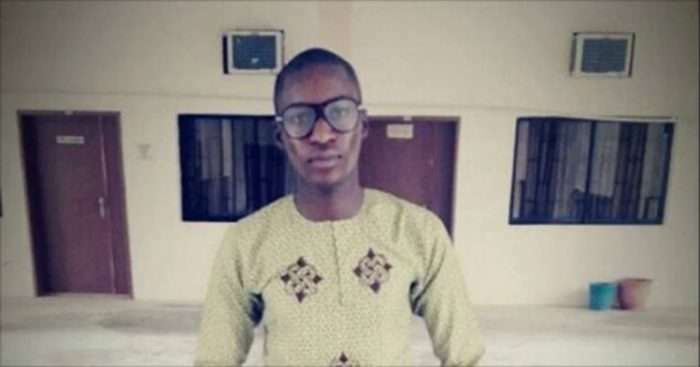 Zakariya, who is also a friend of the student and a herbalist apprentice, was alleged to have invited the student for discussion and on arrival, other suspects hit head with pestle, which led to his death and his body parts were severed for allege ritual purposes. A police prosecutor, Sergeant Adelakun Najeem, told the court that apart from admitting the crime, the first accused also led police detectives to an uncompleted building near his house where the decomposing body of Timileyin was found. Timilehin’s head was also said to have been roasted in a black mud pot by the suspects. A pestle, live tortoise and a clay pot, where the burnt head of the victim was kept were tendered and admitted in court as exhibits. The deceased father, in an emotion-laden voice told the court that the death of his son was a great loss, as the life of his son was cut short at a time his family was expecting to celebrate his success in the university. During the hearing, the court had to first determine whether the first accused, Zakariyau who had pleaded guilty to murder should be summarily tried, or tried alongside other accused who pleaded not guilty. Having held that the first accused should also face proper trial, the prosecution, led by the Attorney-General of the State, Ajibola Bashiru, opened the case by calling four witnesses. The first witness, Segun Akinloye, who is the victim’s cousin told the court how Timileyin went missing on the 26th of June, 2017 and how a number found on his mobile phone led them to Zakariyau, who later told the police that himself and one Yaya Toyin killed and cut off the head and wrist of the victim for ritual purpose. Meanwhile, further hearing of the case has been fixed for Monday January 29th 2018 by Justice Kuburat Akano. At the next hearing more prosecution witnesses and exhibits are expected to tender before the court.